How to capture the screenshot of window? We’re familear with PrintScreen and Alt+PrintScreen shortcuts. They are used to take the screenshot of entire desktop or a particular window. Well, Is it possible to take the snapshot of a particular control or a particular window by yourself? You can use the api – PrintWindow(). If you provide the window handle, the screenshot of the window will be drawn to the provided device context. See the screenshot application which captures the screenshot of calculator application. // Get the window handle of calculator application. The PrintWindow() is available only from XP onwards. So for getting this compiled, you’ve to add _WIN32_WINNT=0x0501 to preprocessor definitions in project settings. Also check WM_PRINT message, which is more or less same as PrintWindow(). How to find the GdiObject type from handle. Gdi Objects are represented by handles. Basically all handles are just an integer inside. For instance, if you’re writing a function with accepts HFONT as parameter, its quite possible to pass a typecasted handle of other Gdi object. So how can you determine the real Gdi object type from the handle? You can use the function – GetObjectType(). See the following code snippet. // Get the Black Brush. // Check the object type with handle. // Yes! The handle points to Gdi Brush. 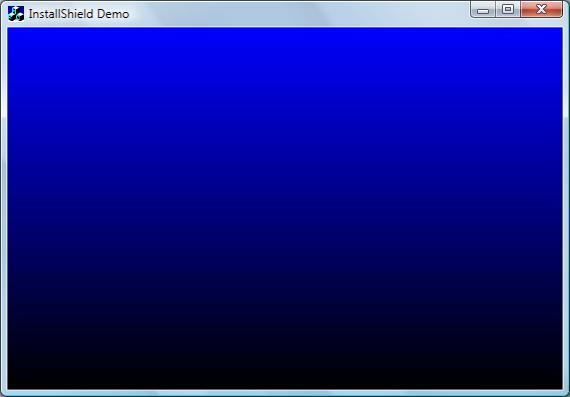 How to fill gradients in your dialog like InstallShield? Look at the dialog. What’s the first thing that come to your mind when you see this? Yes! I can read it – the InstallShield. Its so common to our eyes, since almost all application setups comes via InstallShield. People identify installshield with its nice blue gradient in its background window. So how can we generate such nice gradient background like installShield does? You can use the function – GradientFill(). See the code snippet to generate the InstallShield effect. Its self explanatory. // Get the Device context. // Get the client co-ordinates. // Set the first vertex point at 0,0 and with blue color. // members in struct are 0. // window with black color. // Now fill the gradient. 2,    // No. of vertices. 1,    // No. of items in Gradient Array. GRADIENT_FILL_RECT_V ); // Vertical Fill. Don’t forget to add Msimg32.lib to your project settings. How to convert Image to Grayscale by using HLS colorspace? In the HLS color space, we can represent a pixel in Hue, luminosity and Saturation, where Saturation represents the colorfulness of the color or how colorful the color is. If the saturation goes to minimum, that color will become grayscale and if it goes to maximum the more fluorescent it will become. 1) Get each pixel in image in RGB. 2) Convert RGB to HLS and get the saturation. 3) Set saturation to 1 and convert back to RGB. 4) Set the new image pixel. See the code snippet below. Please note that Its not an optimized one. Just to demonstrate the process. // Get the size of image. // image will be greyscale. // Convert back to Gdi+. // Set it to image. Download sample project from here. The sample support only Jpeg images but can be easily extended. Convert colors in RGB to HLS and vice versa. RGB doesn’t need and introduction and If you are experienced in adobe photoshop, then you might be already familiar with HLS too. Well, how can you convert RGB color to HLS and vice versa? You can use the api’s – ColorRGBToHLS() and ColorHLSToRGB(). See the sample code snippet below. // Its converted to Hue, Luminance and Saturation. // You can adjust the parameters according to your wish. // Now convert back to RGB. You can generate a wide variety of effects by adjusting HLS parameters which cannot be done by using RGB. Designers always use these HLS components for generating creative images. Take Photoshop and have a try! BTW, don’t forget to add Shlwapi.lib to project settings.